AlphaMagnets are shaped accurately with correct proportions, and are made with strong magnets for a 'sure stick.' 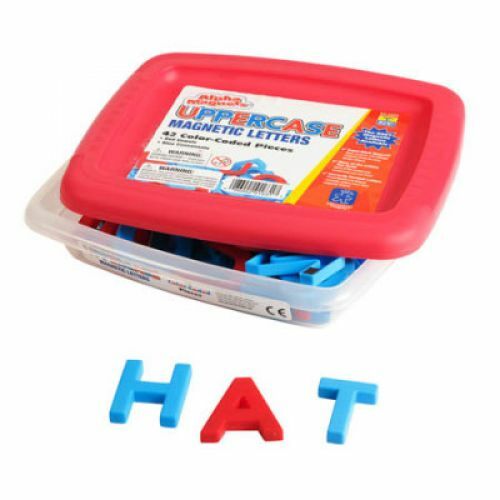 Alphabet assortments come with more of the letters you need most (extra vowels a, e, i, o, u, and consonants b, l, m, r, s, andt), and include punctuation marks. Color-coded sets help teach differentiation with red vowels and blue consonants (42 pieces, 1.5" tall). Comes in a durable, stackable tub with brightly colored plastic lid for convenient self-storage.